Are you looking for paradise beaches? 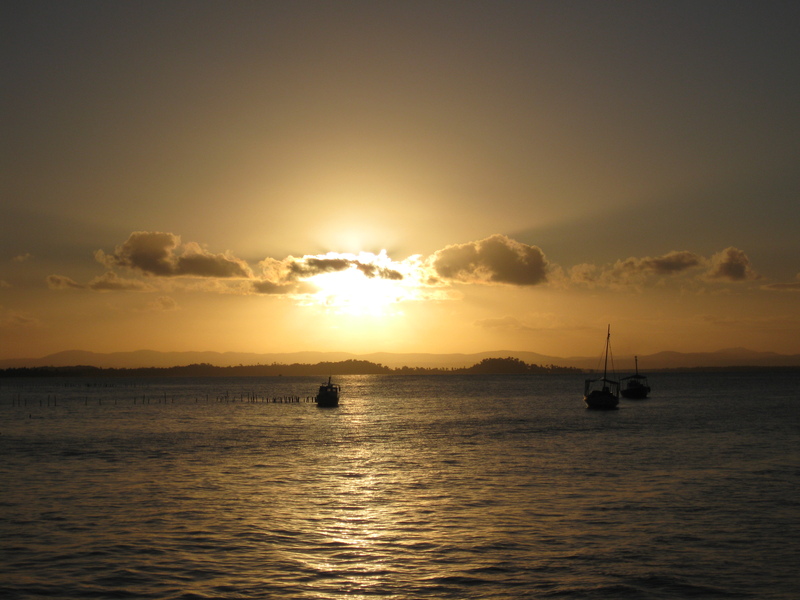 If so, pay a closer look for Barra Grande and Taipú de Fora, both located in southern Bahia, in the peninsula of Maraú. These two villages are like post cards from paradise, perfect places to relax and forget the stress of every day life. If you enjoy simple life and the lightness of being this is your destination, no need to rush and run from one sight to another or fight for a beach chair. 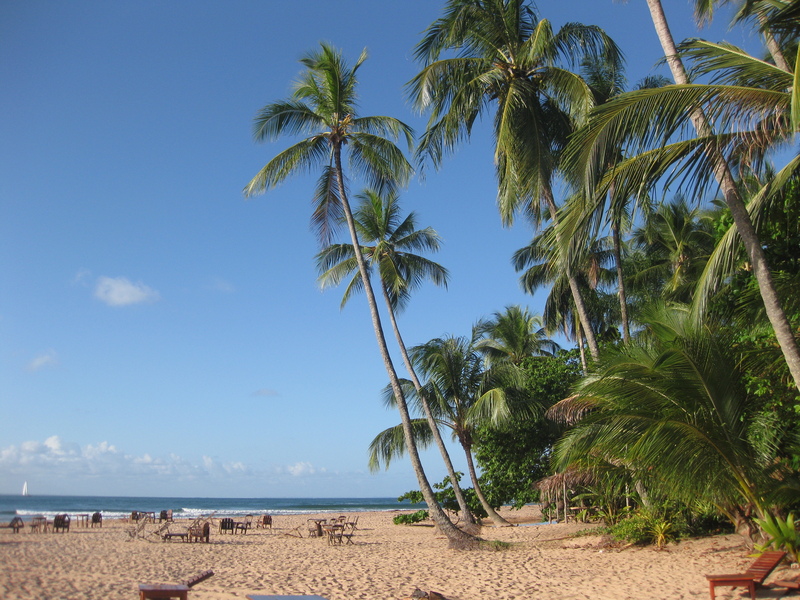 No, here you can just lay down and watch how the palms trees gently swing in the warm winds of Bahia. 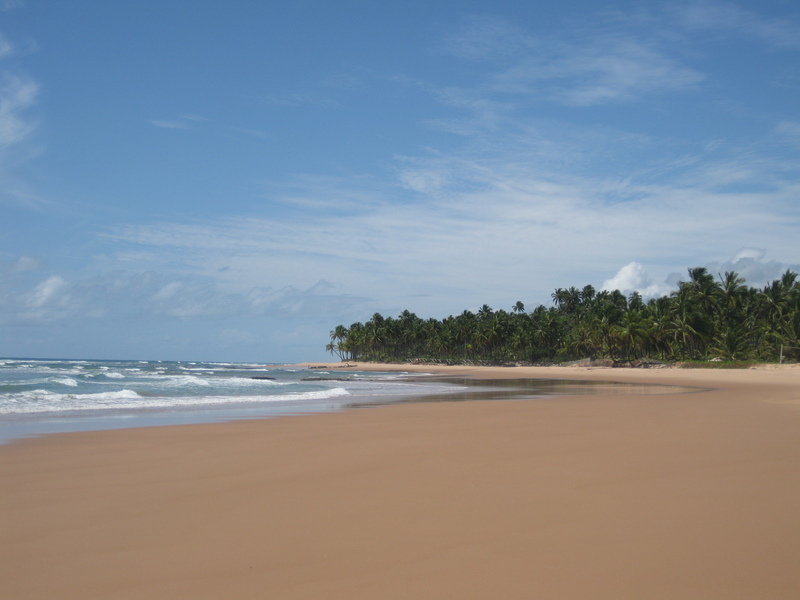 This paradise destination is located about 200km south of Salvador, 150km north of Ilheus and 70km north of Itacaré, an another popular beach destination in southern Bahia. So knowing these details it’s easy to find out the best way to reach this lovely peninsula. First thing to do is to take a flight either to Salvador or to Ilheus, then a transfer to Camamu and again either a regular boat or a speed boat to Barra Grande. We do recommend a speed boat as it takes only about 30 min compared to 1½ hours of a regular boat. For a foreign tourist even the price difference is not that significant. The alternative ways to reach Barra Grande are either a bimotor flight from Salvador to the airport located at Kiaroa Resort or a raither tiring 4×4 land transfer via Itacaré all the way to Barra Grande or Taipú de Fora. As soon as you arrive to Barra Grande you will realize why I’m comparing this peninsula to paradise on earth. 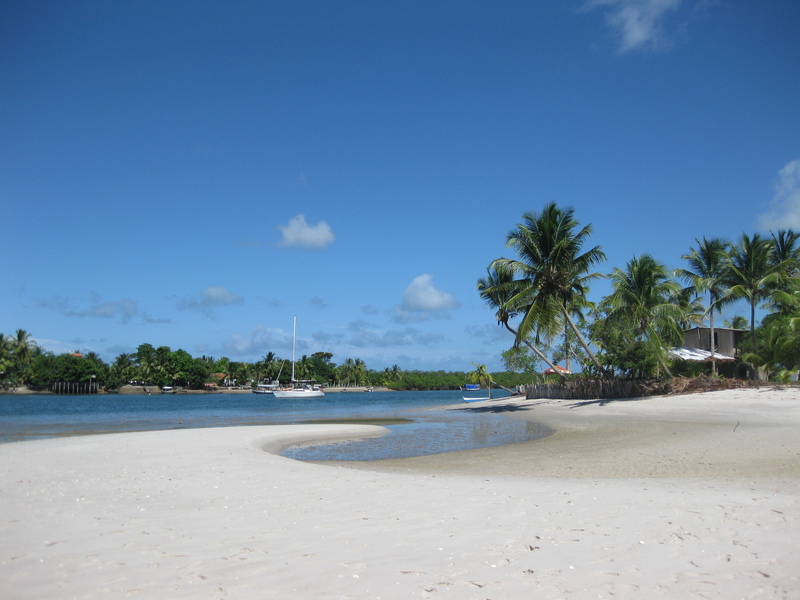 Barra Grande is a lovely mixture of sandy beaches, palm trees, transparent waters and tropical climate. It’s also the principal village of Maraú peninsula, while the famous reefs creating natural swimming pools are located in Taipú de Fora. Where should you stay then? In case you are simply looking for relaxation and enjoy spending plenty of time in your resort opt for Taipú de Fora, but if you raither prefer village life with dining options, bars, restaurants, stores and other activities outside of you hotel or pousada stay in Barra Grande. 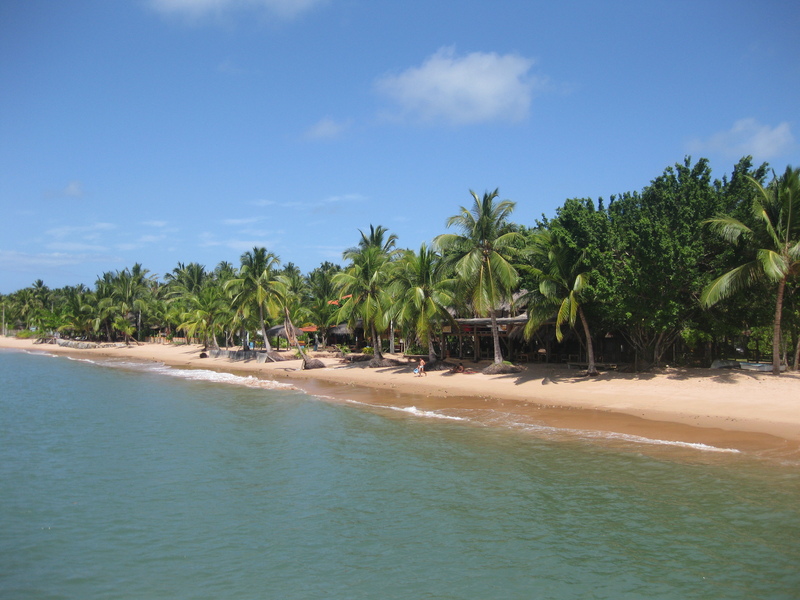 Barra Grande is a lovely village with sandy streets, charming restaurants and a main square around which the warm nights of Bahia can be enjoyed. During your stay you will surely enjoy the sun and the beaches, but don’t forget to take some of the principal tours. In case you are staying in Barra Grande take a tour to Taipú de Fora and enjoy the transparent waters of this natural swimming pool by snorkeling around. During the tour you will also visit some of the view points and see the gigant bromelias growing in this peninsula. During your days in Barra Grande enjoy the calm waters of Ponta do Mutá and make sure you will stay until the sunset, which is a real spectacle on this beautiful beach. An entire day must also be decicated for an excursion to the nearby islands, one of them more beautiful than another. This tour is also an excellent way to enjoy sun and the sea. 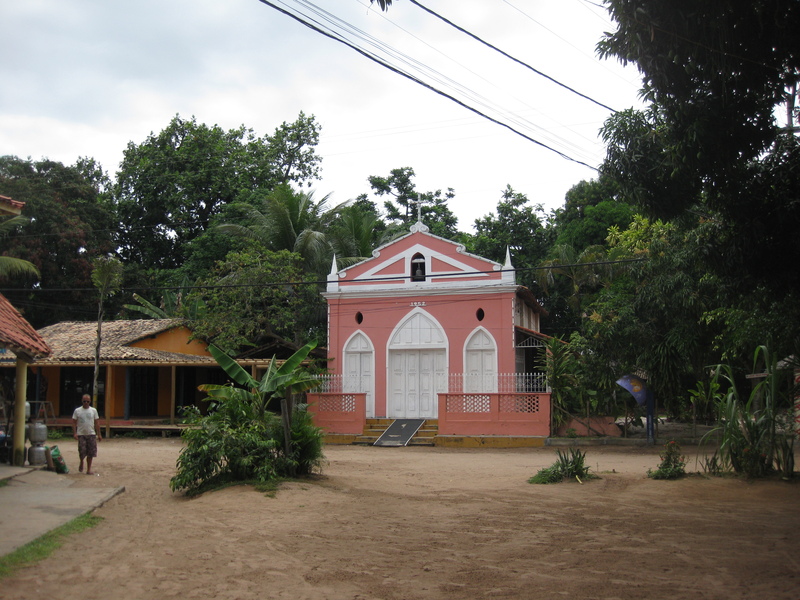 Once you are in the region combine Barra Grande with Itacaré and why not even with Salvador, and get familiar with some of the most interesting sights of Bahia. Pousada De Nada, Barra Grande – A stylish boutique pousada with independent bungalows facing the sea, just a short walk from the main square of Barra Grande. Pousada Ponta do Mutá, Barra Grande – A sea facing pousada next to the village and just a short walk away from the beach of Ponta do Mutá. Kiaroa Eco-Resort, Taipú de Fora – A luxury resort with ecological values with priviledged location at Taipú de Fora. Restaurante Donanna – Tasty contemporary dishes in an open air restaurant decorated with romantic lights. Restaurante A Tapera – Delicious Bahian food with goo value for price. Highly recommended!